Sharon Putt (far left), mother of J.P Reno, was a bridesmaid in Irene Uhalley’s wedding. 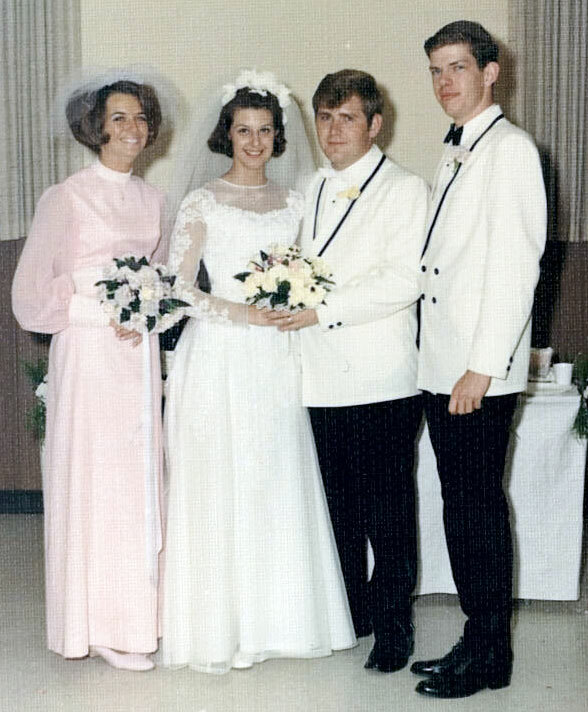 Irene Uhalley and Sharon Putt were best friends at Coventry High School, and were in each other’s weddings in the late 60s – both marrying men by the name of Jerry. 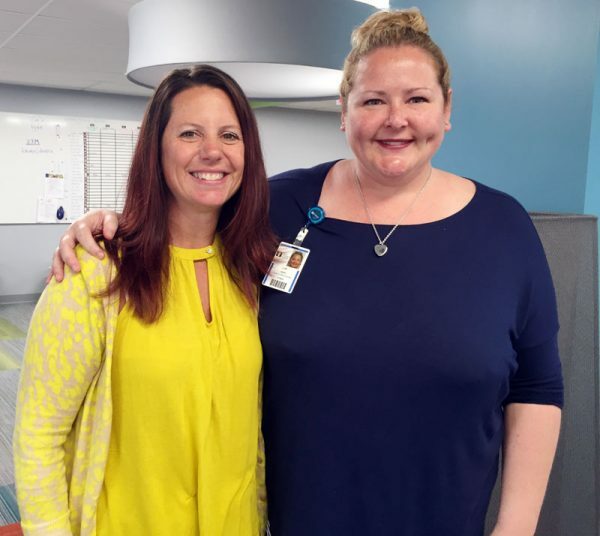 Erin Simmer and J.P. Reno both work in the same department at Akron Children’s and just recently learned their moms were best friends in high school. Over the years, the two women lost touch as they got busy raising their families and the Putts moved around the country and abroad with Jerry’s position with Goodyear. Irene Uhalley, mother of Erin Simmer, was the maid of honor at Sharon Putt’s wedding. Four decades later, their daughters would work together in the same department at Akron Children’s. A few years ago, the two women reconnected at a reunion and then the calling hours for Jerry Uhalley, and Irene and Sharon realized they now lived a few blocks apart. The high school friendship has been rekindled and they regularly get together to walk, shop, have lunch and “create new memories” as Sharon says. Recently, Sharon mentioned that her daughter, J.P. Reno, began a new job as production coordinator at Akron Children’s Hospital. Irene responded that her daughter, Erin Simmer, also works at Akron Children’s as a coordinator for the Ask Children’s call center. Turns out that with more than 5,600 employees at the hospital, J.P. and Erin work in the same 33-person Marketing and Public Relations Department and had interacted at several meetings before learning their moms were “besties” in high school. So, yesterday, after a morning meeting, they took a picture of themselves together to send to their moms.